So today Gracie and I decided to a little bit more baking with our Dr Oetker goodies. Cake of choice was fairy cakes, an oldie but a goodie. 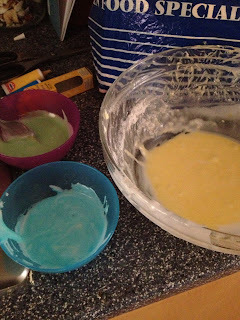 We still had lots of sprinkles left over and we had a blue and yellow food colouring, so I thought it would be good to have different colour icing. We had three bowls. 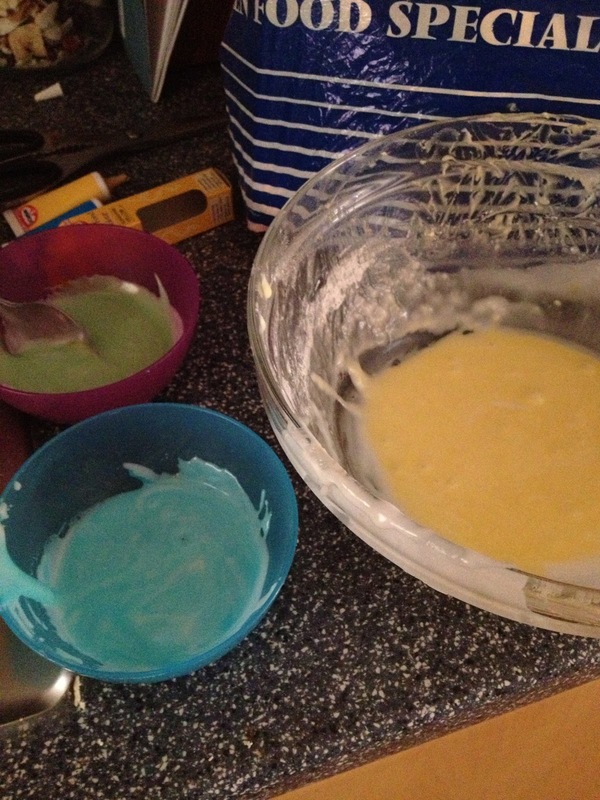 Firstly I mixed the icing sugar and water together in the big bowl, I then separated the mixture into the three bowls and put blue in one, yellow in one and then mixed the two in the last bowl to make green. 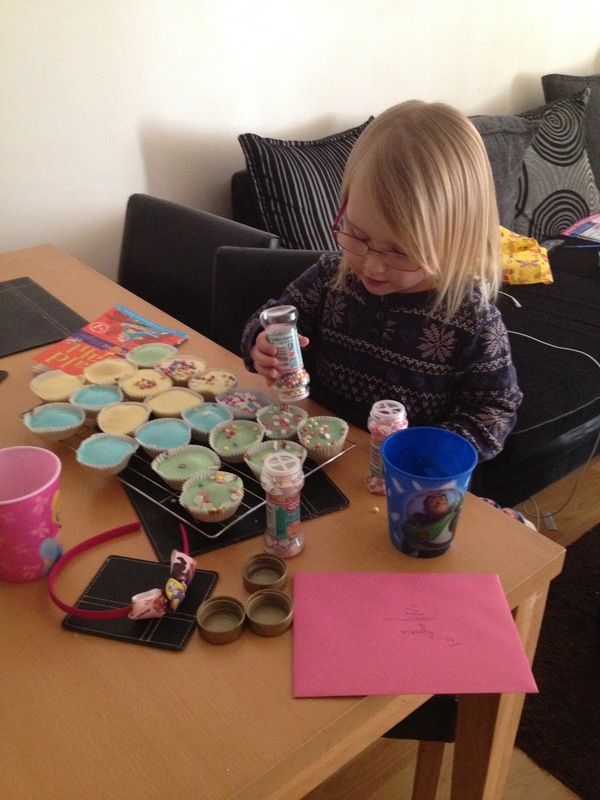 Now it was Gracie's time to shine, the placing of the sprinkles. 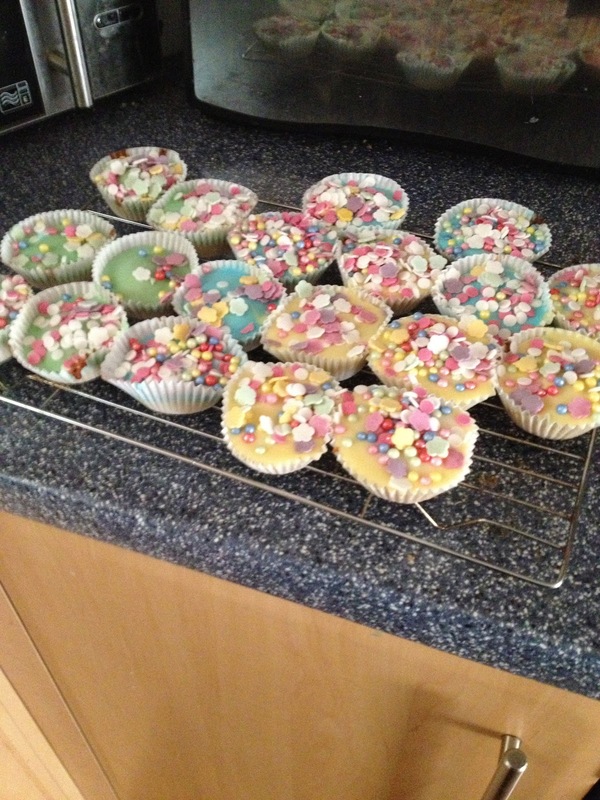 The little monkey actually managed to empty all three pots of sprinkles. And finally the big reveal, ta da!! !